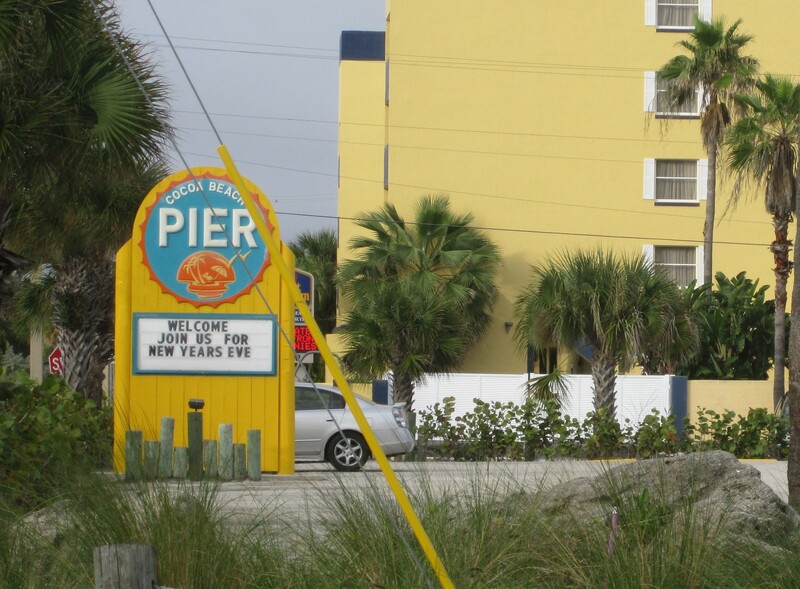 As fate would have it, I spent this past New Year’s Eve bopping around Cocoa Beach by myself, looking for some fun. 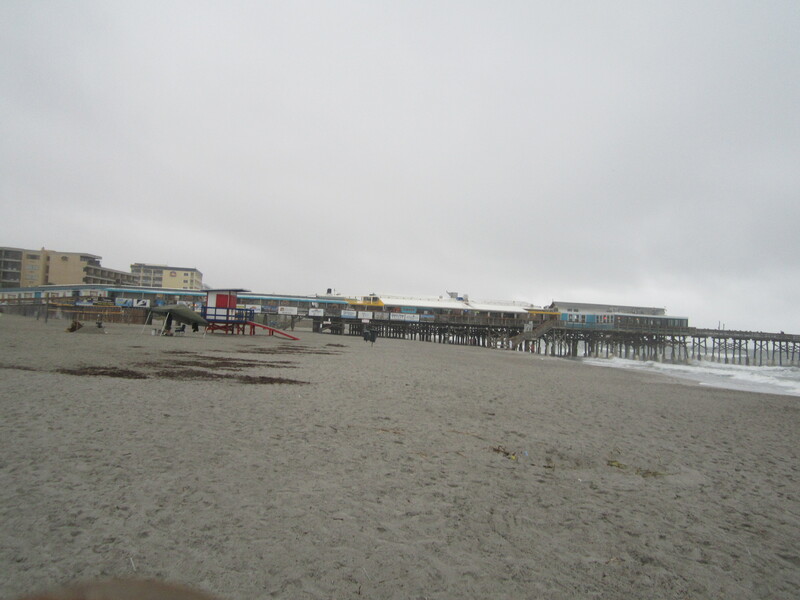 As a free agent, I made a decision to walk a mile down the shoreline and check out the famed Cocoa Beach Pier to see what the buzz was all about. A tapestry of clouds preoccupies the sun like a jealous lover nearly all day, but the temperature hovers in the mid seventies which was so much warmer than my native state of Indiana (15°F) on that day, that I didn’t care. And I wasn’t the only one. The mist hung low as parents chased after kids playing in the sand and surf. Seabirds huddled in pods peering longingly out to sea and two men dug an enormous bowl shaped ditch big enough to bury a man. Later at nightfall they’d build a fire, an annual tradition on New Year’s Eve. I arrived about 5:00 pm at the Pier, which (as you can see) looks like one of those houses that keep getting added onto over the years. 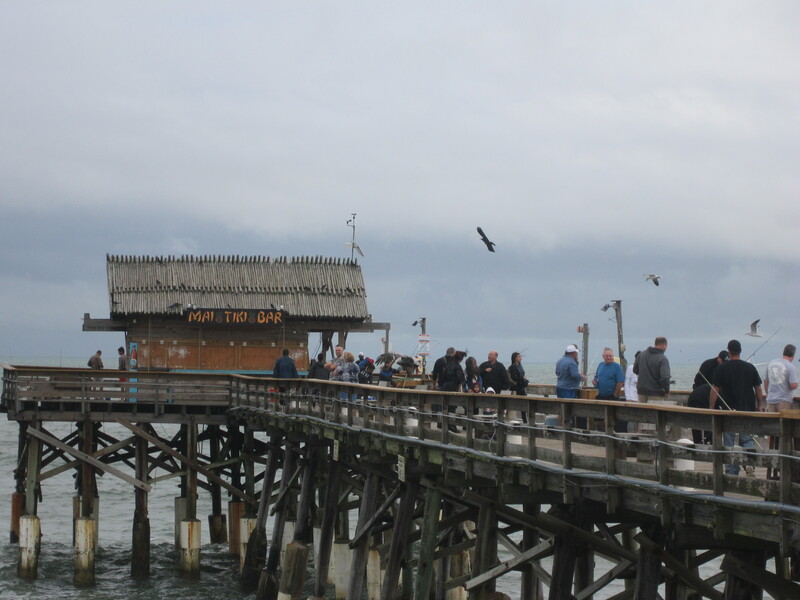 My planned destination was the Tiki Bar at the far end of the pier, but unfortunately, it was closed for repair. As luck would have it, there was one seat left at the bar in the middle of the pier and I sat down between a gentleman eating some awesome smelling onion rings and another single woman on my left. In short order, the woman and I struck up a conversation. Sheila told me she was heading to her New York apartment that week, but planned to be back before the weekend because she had just started dating a new fellow in Orlando. We became buddies over a couple of beers. I coveted her palm tree necklace. An hour, or so later, I walked home along the beach in the dark. The early beginnings of firework displays had already begun with kids setting off bottle rockets toward the sea. It wouldn’t be a restful night for either fish or fowl. As with many of Florida’s coastal areas, the buildings along the beach keep the lights off in the evenings because the glare prevents the sea turtles from using the beaches to nest. It’s pitch black, but after a few seconds, my eyes adjust. As the sea pulls out after sunset, the swath of water-soaked sand becomes wide and deep, grittier between my toes. I stand ankle deep where the waves would have covered my head earlier in the day and I feel vulnerable and exhilarated at the same time. Kids dodge in and out of dimming beams of light wielded by their comrades in a feisty game of flashlight tag. They fall laughing into the sand when caught. Adults huddle around small fires and drank beer and whiskey, talking about their new year’s resolutions to exercise more, eat better, and give up habits that have already become an integral part of their lives. 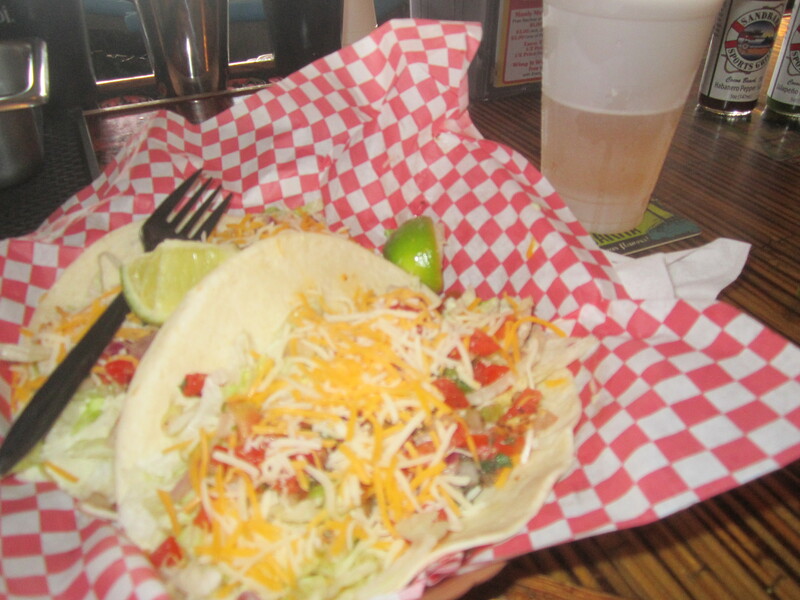 On New Year’s Day, the sun came out and I made it over to Sandbar Sports Bar and Grill for their famous fish tacos – the secret ingredient, a white jalapeno sauce, Mmmm. 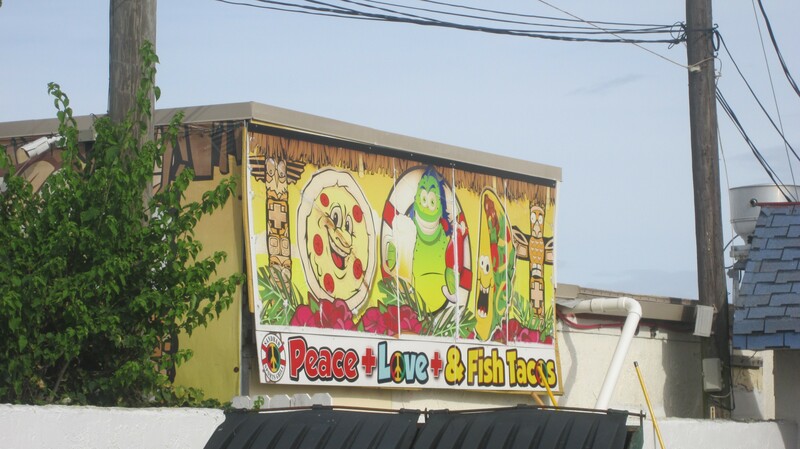 Fun atmosphere and awesome food. 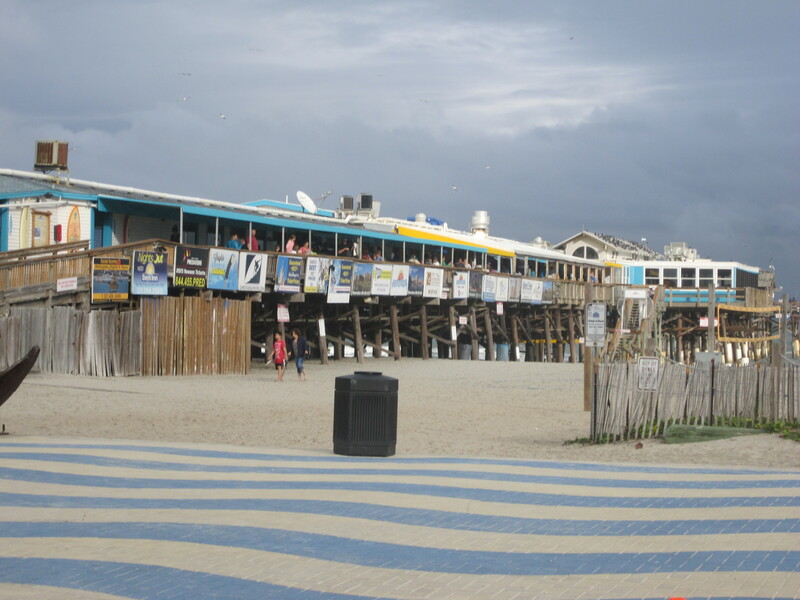 Cocoa Beach, although pretty popular as a Spring Break destination is, during the other 10 months of the year, used mostly by locals and some Orlando residents. 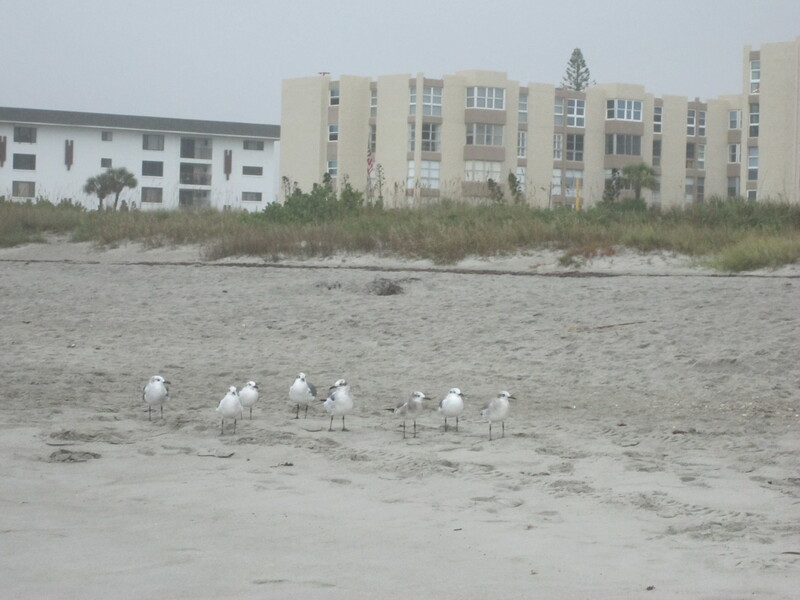 Quite a few public beach access areas and places to park near the beach are available between the condominiums along the shore. It’s no surprise that I met so many people who have recently made Cocoa Beach their full-time home. Northerners from Michigan, New York, and Wisconsin come seeking tropical air and a different style of life – one without periods of frigid isolation. The area has a very strong community vibe. The locals seem to appreciate their strip of sand and its inhabitants immensely. 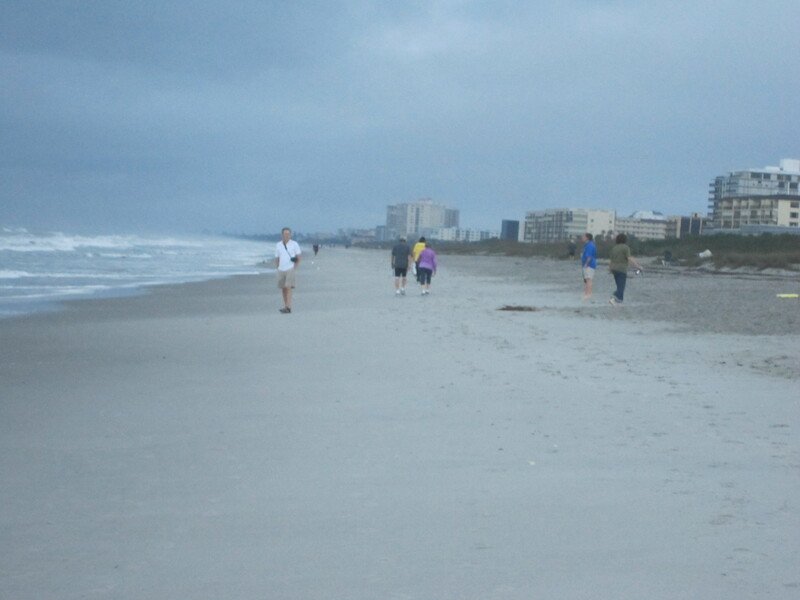 I notice people voluntarily picking up litter on their morning walks. On my last morning, while running along the beach, I came upon a young sea turtle about the size of a football that seemed to be resting in the wet sand, waves washing over its back as it clung to the beach. I was concerned when after about a half hour it hadn’t moved from that spot. I stopped a woman walking along the shore and asked if she was a local and did they have a turtle rescue in the area. Her answer was “yes” to both. She said things didn’t look good for the little guy, but she would call a friend who worked at a rescue center. I thought in another time, that could be me. Someone whose home is a warm strip of sand.